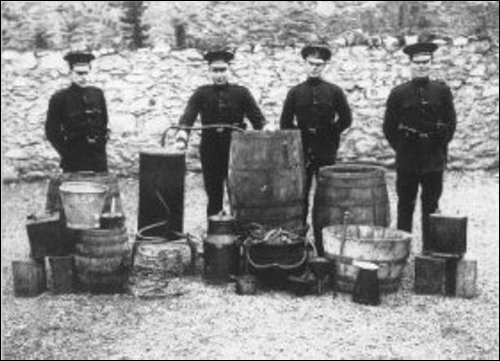 Police with a siezed still in Inisowen – dad and Willie Carty used to run one in sheds while leaving a ribbish worm and paraphanalia in a field to be “found” by customs men, and a few bottles for themselves to keep them quiet! Where we need neither king or Queen! Toasting the once taken pledge! When I first tasted Poiteen on the tongue!